Training package for Helping Babies Breathe and the Essential Care for Every Baby. 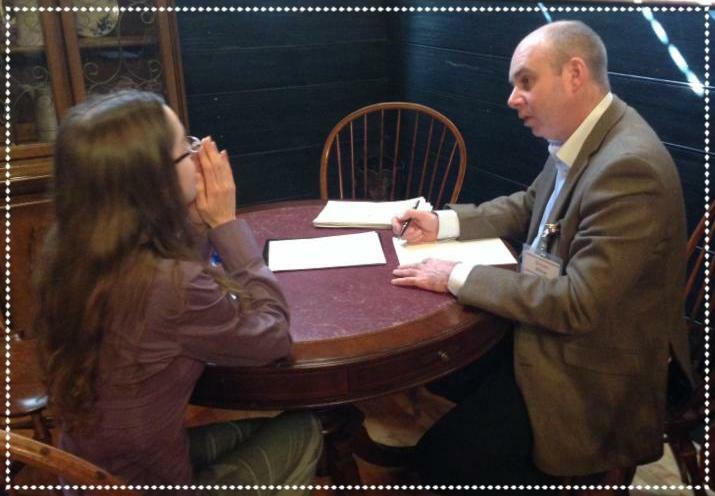 From February 26-28, Kybele hosted its third Team Leader Summit at the Historic Brookstown Inn in Winston-Salem, North Carolina. 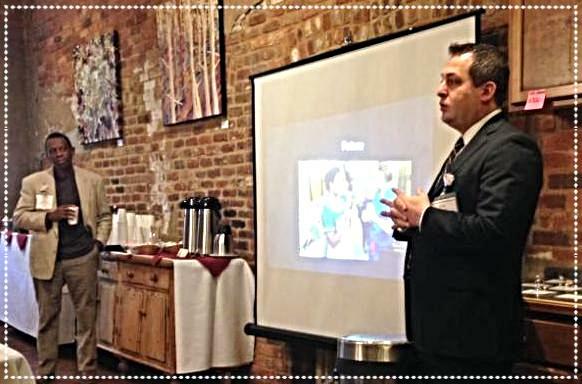 Nearly 50 Kybele team leaders, country hosts and supporters attended the bi-annual event-arriving from several U.S. states, Canada, England, Scotland, Serbia and Armenia. Participants were welcomed to Winston-Salem on Friday, a day that was capped by a monumental Memorandum of Understanding signing ceremony between Dr. Tihomir Vejnovic, chair of the OBGYN department at the University of Novi Sad in Serbia, and Dr. Medge Owen, Kybele president. This revolutionary collaboration represents a five-year inter-organizational scientific and educational agreement between Kybele and the faculty of medicine at the University of Novi Sad. The two parties have agreed to participate in the provision and exchange of education in the fields of obstetrics and gynecology, the donation of materials and equipment, the pursuit of mutually beneficial research endeavors and the exchange of faculty. This initiative will help establish the University of Novi Sad as a center of excellence for training in obstetrics, neonatology and obstetric anesthesia for Vojvodina, other parts of Serbia and surrounding countries. Through the partnership, the institutions will develop teaching and training guidelines for neonatology and obstetric anesthesia for Serbia in accordance with international standards-a trend that is already spreading in other sectors in Serbia. Kybele was thrilled to celebrate this exciting partnership at the Team Leader Summit. The remainder of the Team Leader Summit was devoted to country updates on Serbia, Armenia, Ghana Cape Coast and Ghana PATH programs, as well as stimulating discussions on the progress and milestones that have been achieved. Team leaders and country hosts discussed childbirth safety concerns currently being addressed in each country and strategic development work plans for the future. Dr. Yemi Olufolabi revealed an electronic database to streamline data collection and analysis, and Dr. Rohit Ramaswamy presented on the theory behind data-rich monitoring and evaluation to create evidence-based quality-improvement initiatives. 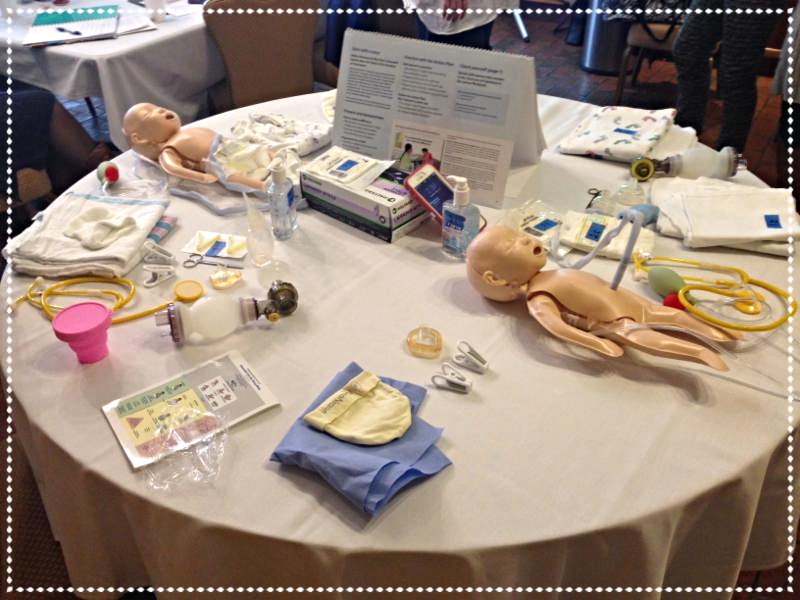 Breakout sessions included hands-on practice for new training packages, including Helping Babies Breathe and the Essential Care for Every Baby, and refinement of NICU protocols. Kybele was honored to have such a robust summit of leaders who are tirelessly working to improve the health and well-being of women and babies around the world! The Kybele Team Leader Summit is a bi-annual event conducted to strengthen the leadership within the Kybele programs. A special thank you to the Wake Forest School of Medicine Department of Anesthesiology for sponsoring the Team Leader Summit. 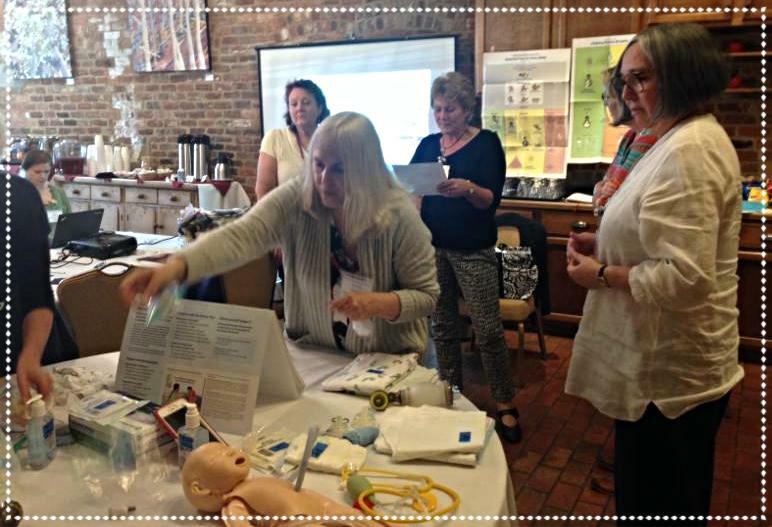 Pediatrician Dr. Magdalena Serpa (PATH Trainer) reviews the Helping Babies Breathe and the Essential Care for Every Baby training packet for Kybele Team members.